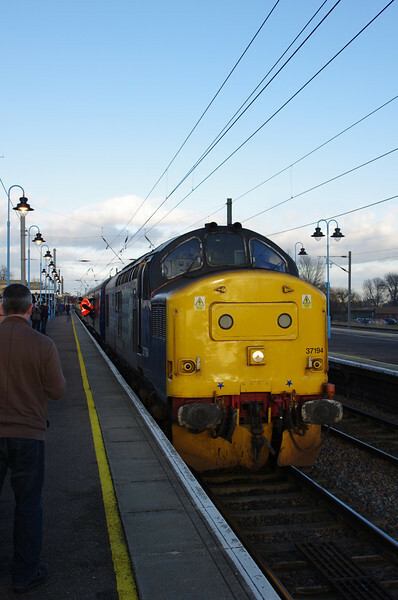 37194 departs Ely for the Reception Sidings working Pathfinder Railtours The Deviator 14:05 Ely Papworth Sidings - Crewe 11/01/14. Little did we know at this stage in the day that this loco was going to fail near East Midlands Parkway and cause a near 3 hour delay and an unscheduled trip into Toton freight yard. This ended up being a very long day.